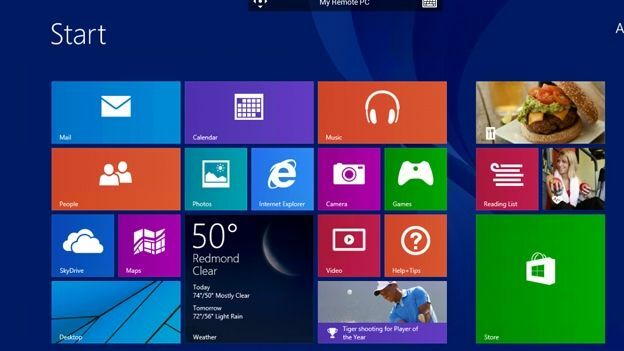 Microsoft has announced that the first update to Windows 8 will be released on April 8th. Windows 8.1 was unveiled at Microsoft's Build conference in San Francisco on Wednesday. It will be released for free on Tuesday. Microsoft also went into detail about what the first major update will bring with it. According to the company, the update's mission is to remove some of the most frustrating features for mouse and keyboard users. The update will bring additional functionality for peripherals like keyboards and mice. However, the company is also keen to make sure that touch isn't pushed to the side as it continues to move its desktop and tablet products towards each other. One of the biggest changes is that the operating system will now be able to recognise the type of device you're using. If you're on a tablet, it will launch into Metro. However, if you're using a PC or laptop, it will launch straight into desktop. Other changes include mouse-specific features like right clicking for the Start menu and the ability to close apps with a drop-down menu. Metro apps can also be minimised in a similar fashion to traditional Windows apps. The task bar has also made its return, alongside a change to the Windows Store.